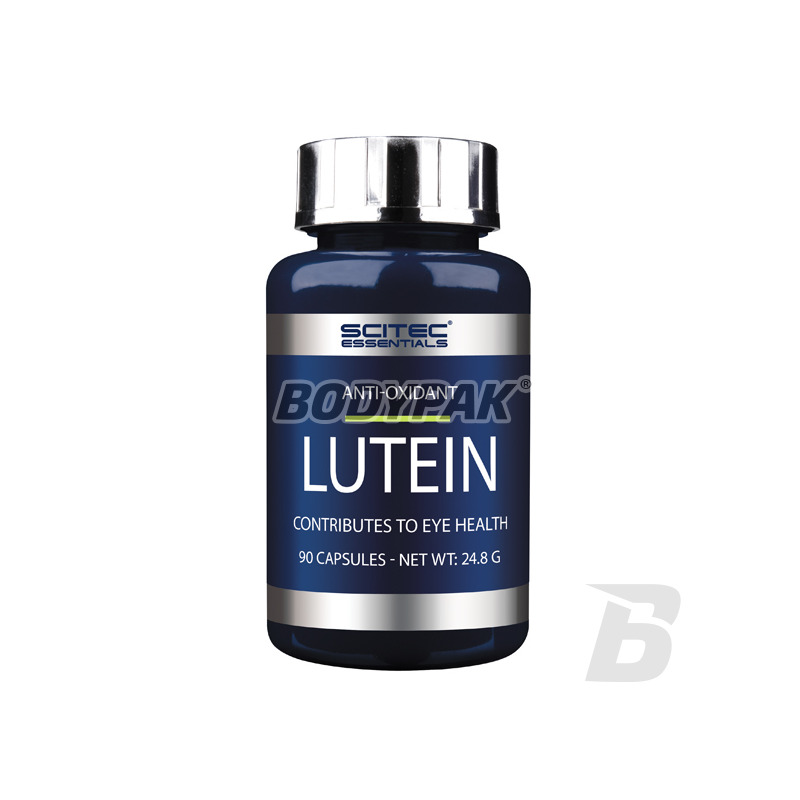 Health & BeautyScitec Lutein - 90 kaps. 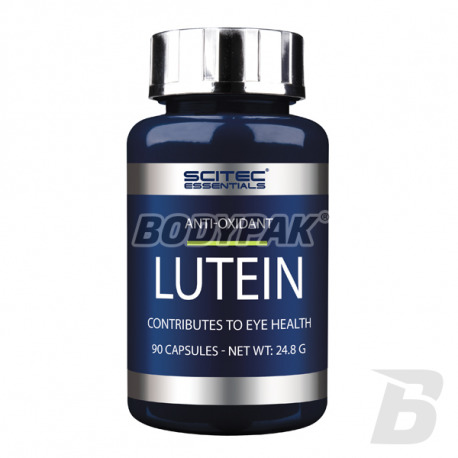 Scitec Lutein - 90 kaps. Scitec Lutein - Lutein highest quality from the US, contained in the formulation of health-oriented American company Scitec Nutrition. Scitec Lutein American dietary supplement containing lutein - a natural kartenoid, an effective eye protection. An ideal dietary supplement for people exposed to free radicals - slows the aging process is not only the retina of the eye, but also has a positive effect on our skin. Scitec Lutein is a specially developed affordable dietary supplement, which in addition to valuable lutein, also contains another kartenoid - zeaxanthin. Since both components are found in the retina and are responsible for the condition and health of your eyes, it is recommended as a supplement to streamline the work of the organ of vision. UV radiation, car exhaust, industrial, tobacco smoke, and a number of other harmful substances cause the formation in the body of free radicals. They are the cause of a number of changes in the body. Mainly responsible for the aging of cells. Free radicals also contribute to changes in the retina - cause aging and degeneration of cells, thereby deteriorating somehow view. To reduce these negative effects and also prevent deterioration of vision must be submitted to an organ of vision proper nutrients. Because the human body can not produce lutein alone, must provide this component in consumed products or in the form of a good and cheap supplements (capsules or tablets). So let's turn to high-quality low-cost lutein contained in the American Scitec nutrient Lutein. 1 capsule per day. Consume a meal. Olimp Adapto-Fuel - 60 kaps. Swanson Full Spectrum Black Cumin Seed 400mg - 60 kaps. High quality black cumin seeds (also called black cumin). They are characterized by an incredibly deep taste and aroma, which is why they work perfectly in the kitchen, eg during cooking. Ground can be a substitute for black pepper! Trec Herbal Energy - 60 tabl. NOW Foods Coenzyme Q10 30mg - 240 kaps. Complex formulation based on alpha-lipoic acid, magnesium extract, fenugreek extract, ginseng and chromium. It promotes proper course of energy metabolism, regulates blood sugar levels and limits the desire for sweets. It also supports the immune system in the fight against free radicals. The highest quality of every serving!